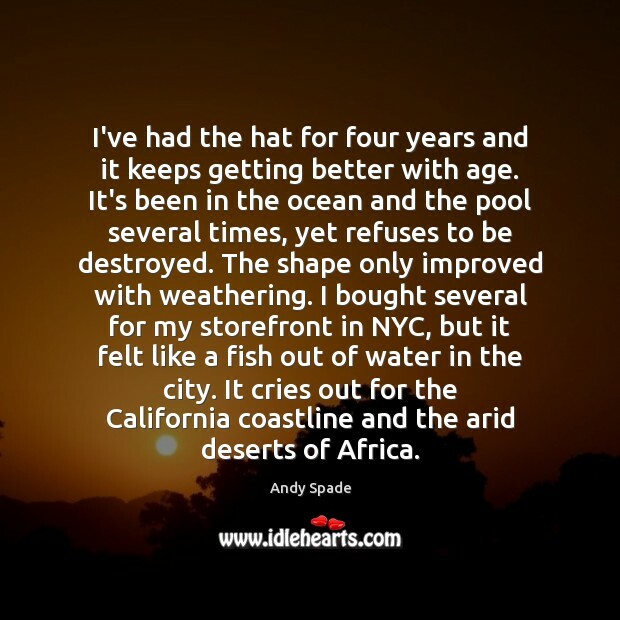 Enjoy the best inspirational, motivational, positive, funny and famous quotes by Andy Spade. Use words and picture quotations to push forward and inspire you keep going in life! I've had the hat for four years and it keeps getting better with age. It's been in the ocean and the pool several times, yet refuses to be destroyed. The shape only improved with weathering. I bought several for my storefront in NYC, but it felt like a fish out of water in the city. It cries out for the California coastline and the arid deserts of Africa. 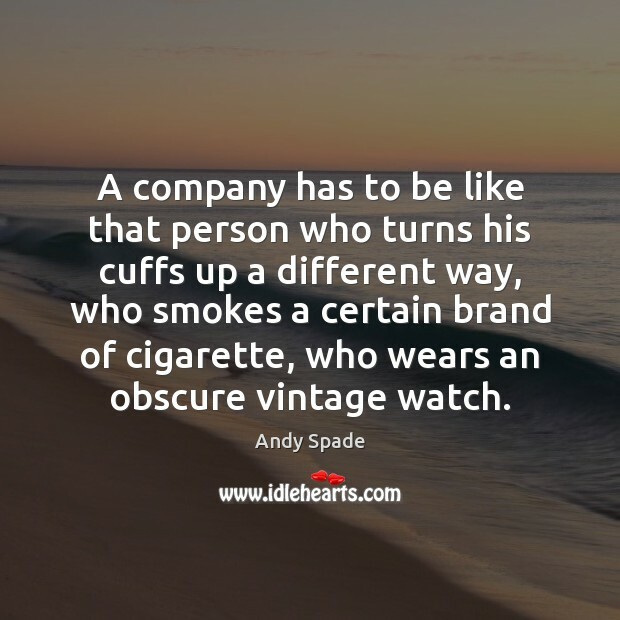 A company has to be like that person who turns his cuffs up a different way, who smokes a certain brand of cigarette, who wears an obscure vintage watch. 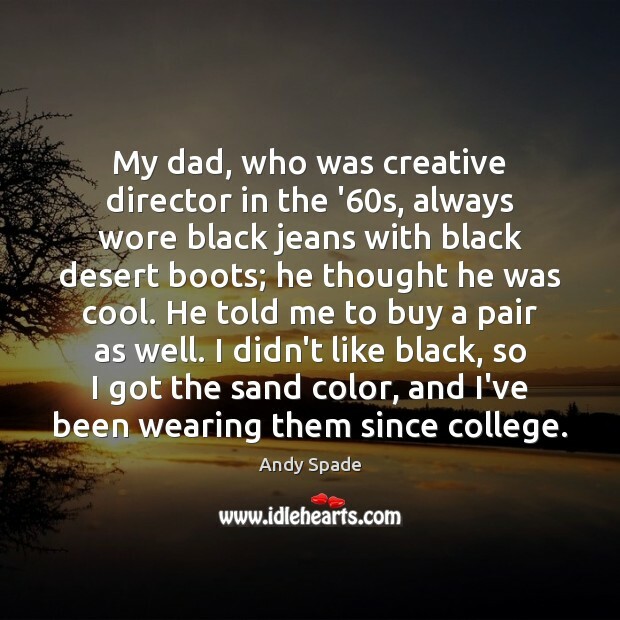 My dad, who was creative director in the '60s, always wore black jeans with black desert boots; he thought he was cool. He told me to buy a pair as well. I didn't like black, so I got the sand color, and I've been wearing them since college.